We drink it, swim in it, clean with it and can’t do without it. Water is one of our most precious natural resources, but often we don’t take much notice of it until there is too much or too little. 1. Avoid using fertilizers or pesticides within 75 feet of wells or waterways. 2. Apply garden chemicals when it will not rain for a few days, or the rain will wash the chemicals away. Fertilizers and pesticides need time to be absorbed. 3. 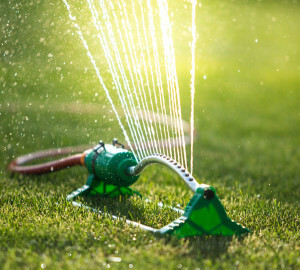 Do not water your lawn immediately after applying garden chemicals because that will wash them away, too. 4. Only apply garden chemicals where needed, and apply sparingly to reduce overall chemical runoff. Grass, leaves and other yard waste that gets washed down storm drains generates green algae in lakes, suffocating fish and spoiling water recreation. 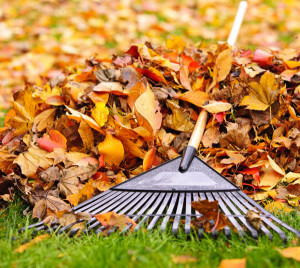 Excessive yard waste can also clog storm drains, which can lead to flooding. It’s best to sweep, not rinse, your driveway, patio and walkways to keep these items out of the drains. Make sure to bag your green waste—anything you rake, mow or clip—or use it as healthy, easy fertilizer for your lawn or garden. Learn more about grasscycling. Pet waste should go down the toilet or in the trash. 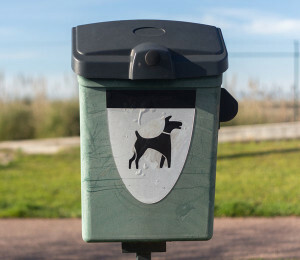 Dog waste contains twice as much bacteria as human waste, and can also transmit viruses and parasites that are harmful to humans and other animals. Tapeworm, roundworm, E. coli and Parvo are just a few. 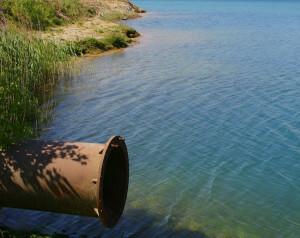 The EPA has stated that pet waste is a major contaminant in our waterways. Pick it up regularly to keep these microbes from leaching into water sources. 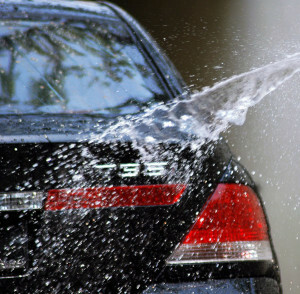 Washing your vehicle in your driveway can send toxic soap and oils into your local waterways. The best way to avoid this is to wash your car at a car wash, where the drains are better equipped to handle these chemicals. You can also use nontoxic, phosphate-free or biodegradable soap that will create less of an impact on humans and wildlife, or use rags and buckets to collect the dirty water and limit the amount of soapy runoff. Keep motor oil and auto fluids out of storm drains. According to the EPA, the oil from one oil change can pollute one million gallons of fresh water. Check your vehicles regularly for leaks and spills so you can fix leaks promptly and soak up any spills with absorbent material like sand or kitty litter. 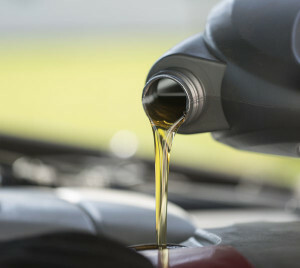 Recycle used oil and other automotive fluids to keep them out of the drain or trash. Paint, paint thinner and solvents should be used in small amounts as directed, stored safely and cleaned up promptly if spilled. 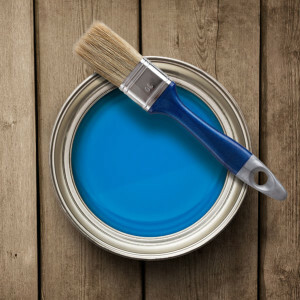 When rinsing paintbrushes, do so in a sink indoors, or in a sealed container of water that you can dispose of with other hazardous waste, and use only a minimal amount of water. Do not clean paintbrushes outside, and do not pour paint or other solvents down the storm drain, as they will not simply dissolve, and are highly toxic contaminants in our water supply. Wondering about anything else you’ve washed down the drain before? Find out if it’s okay by looking it up in the Recycling Guide. Remember: Only rain goes down the storm drain. For more tips on household practices like lawn care and pool maintenance, check out the EPA’s brochure The Solution to Stormwater Pollution or Only Rain Down the Drain, a website with videos, tips and a game for kids. To learn easy household water-saving tips, visit the EPA’s Start Saving tip page or eartheasy.com. Find out more about our local watersheds at California’s Department of Conservation or the quality of nearby waterways with How’s My Waterway. For tips on best gardening practices, visit watersmartgardening.com, or find out about xeriscaping—landscaping for water conservation—at CalRecycle. Want to get more involved with clean water initiatives? Check out cleanwateraction.org.